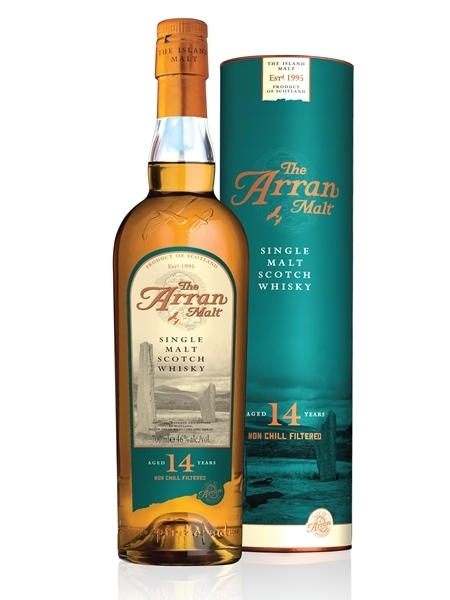 The Arran 14 year-old (~€55) is an immensely popular part of Arran's core range of Single Malt. It is a perfectly balanced marriage of both first fill Sherry and Bourbon casks and is a righly rewarding Single Malt with depth of character and zest. It captures perfectly all the fresh character of the Arran 10 year-old with an added layer of intensity and fruitiness. This unpeated single malt is non-chill filtered and bottled at 46% ABV.